Disney is moving full-steam ahead on their live-action Mulan remake. Key members of the crew have now been put in place as filming is slated to begin later this month. Though no release date has been specified by the studio, Mulan is slated to arrive in 2019 and, with filming taking place very soon, it's possible we could see the movie early on next year, as opposed to seeing it drop in the summer or winter. Though, there are already quite a few live-action remakes coming from the Mouse House next year, so it's going to be a bit crowded. Niki Caro, best known for her work on the movie Whale Rider, has been tapped by Disney to direct the live-action Mulan. In a new report, it's revealed that Narcos' costume designer Bina Daigeler has been added to the crew. In addition, Sean Andrew Faden (Power Rangers) will serve as visual effects supervisor and stunt coordinator Allan Poppleton (The Wolverine) has also been added to the crew. With the key components in place, cameras are ready to roll on this highly-anticipated remake. 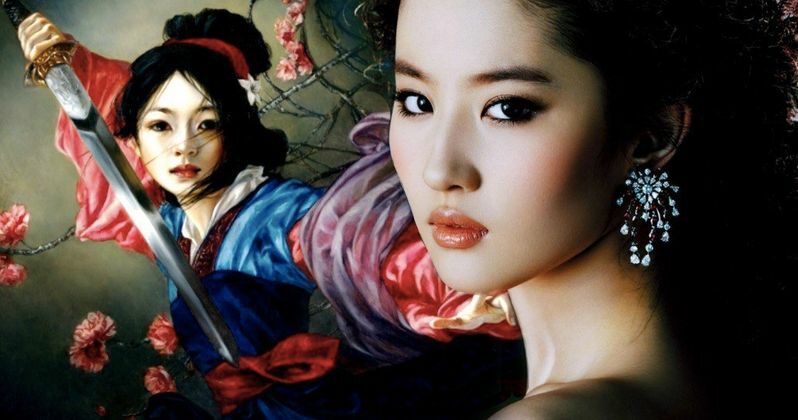 Yifei Liu has been cast in the title role for Disney's Mulan remake, but no other casting announcements have been made so far. Despite some controversy over an early "whitewashed" version of the script for the movie, Disney has promised that Mulan will feature an all-Asian cast. With that in mind, it's likely that the movie will feature quite a few actors and actresses that are relatively unknown, at least for American audiences. This sounds like it's going to be a very authentic movie. The last thing Disney wants is to have this movie fall apart over a whitewashing controversy. The original animated Mulan was released in 1998, right in the heart of Disney's massive run of hits that started in the late 80s and spawned many of the classics that the studio is currently giving the live-action treatment to. The movie was a box office success, bringing in $304 million at the box office, but it's remembered primarily for featuring a strong, Asian female lead character. That's something we still don't see enough of today, let alone twenty years ago. But 2017 proved that audiences will turn up in droves to see movies with female heroes in them, with Wonder Woman being the primary example. So Disney has a real opportunity with Mulan to do something special. As far as 2019 goes, Disney also has live-action versions of Dumbo (March 29), Aladdin (May 24) and The Lion King (July 19} all coming out as well. That means, if Disney sticks with a 2019 release date for Mulan, they will be releasing four live-action remakes in the same year. According to the new report from Omega Underground, filming on Mulan is expected to take place in Wellington, New Zealand, as well as parts of China.